The German insurer promised more of the same with a set of modest goals for the next three years. Yet CEO Oliver Baete’s tweaked capital target suggests he is leaving room for a hefty deal. Rival AXA’s derided purchase of reinsurer XL, however, should serve as a cautionary tale. The logo of Europe's biggest insurer Allianz SE is seen on the company tower at La Defense business and financial district in Courbevoie near Paris, France, March 2, 2016. Allianz on Nov. 30 laid out updated targets for 2021 which were marginally higher than previous goals. Oliver Baete, the German insurer’s CEO, promised to deliver earnings per share of more than 5 percent per year, compared to the 2016-18 goal of 5 percent. Allianz is also targeting a return on equity of more than 13 percent, compared to its previous goal of 13 percent. 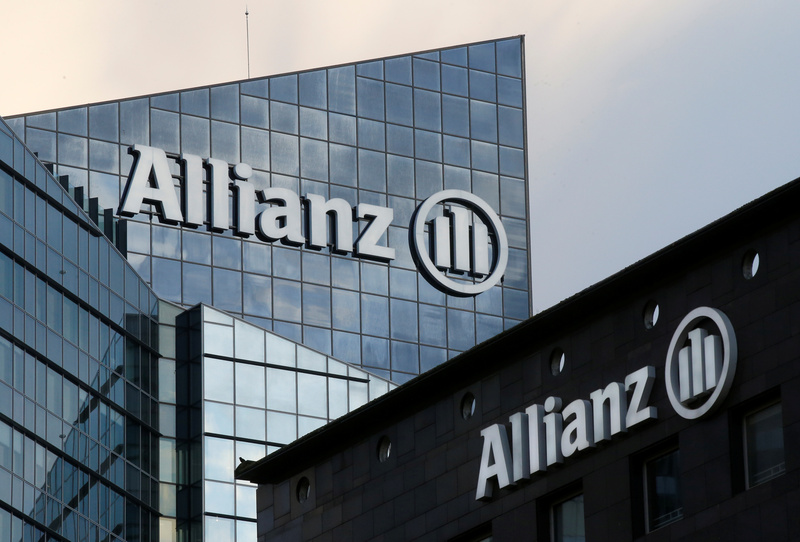 Allianz reaffirmed its minimum solvency target – its capital relative to the amount required by regulators – at 180 percent but dropped the upper end of the range. Shares in Allianz were down 1.32 percent at 187 euros by 0940GMT on Nov. 30. AXA shares were down 0.6 percent at 21.4 euros.